In 2008, the band was discovered by producer Tim Gilles (Anthrax, Taking Back Sunday, Hades, Bear vs. Shark, Thursday), who recorded, produced, and mixed their first album at Big Blue Meenie Studios. “General Winter’s Secret Museum” was released in July 2008. The album included original artwork by Dan and Patrick McGowan, with an album cover by artist Kendra DeSimone. 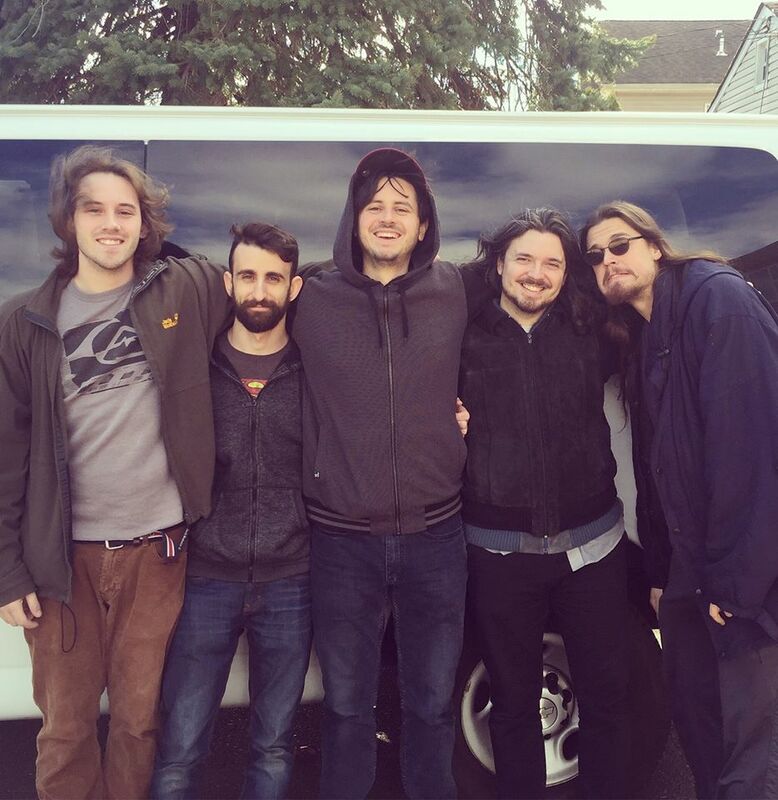 Following a brief East Coast tour, The Tea Club returned to Tim Gilles and Big Blue Meenie Studios to record their second album entitled “Rabbit“ which was released on October 9th 2010. The album featured guest keyboardist Tom Brislin (Yes, Renaissance, OK Go, Meatloaf, Camel). Like General Winter’s Secret Museum, the album cover was painted by Kendra DeSimone and featured original artwork by Dan and Patrick McGowan. Rabbit was met with very positive reviews. The Organ ‘zine praised The Tea Club for being a band that is ”not afraid to nail their colours firmly to their mast and fly directly in to the face of fashion”. Indie Music Reviewer said that Rabbit ”can appease any listener of just about any genre”, giving the album 5 out of 5 stars. They spent the rest of 2010 and 2011 touring the East Coast, including performances at the ProgDay Music Festival in North Carolina, the Philly Film & Music Festival, and the NJ Proghouse Music Series. Reviews and articles about the band were featured in publications such as Metro Philly, Indie Music Reviewer, Origivation, and JUMP. The band also released several homemade music videos for songs from the Rabbit album. They ended 2011 by opening for Jimmy Gnecco of the band Ours in Philadelphia. In early 2012, The Tea Club once again returned to Big Blue Meenie Studios to record their third album with producer Tim Gilles. Following these sessions, the band was invited to support Beardfish on their mini-tour of the United States in May 2012. In 2013, The Tea Club travelled to Canada to perform two 90 minute sets at the Terra Incognita Festival in Quebec City. In August 2013, the band toured the United States with Thank You Scientist. The tour included a performance at Indie Music Reviewer’s IMR Music Festival 2013 in Atlanta, GA. The Tea Club spent 2014 writing and recording at Big Blue Meenie Studios. These recordings became The Tea Club’s fourth album, “Grappling”, which was released on November 17, 2015. Grappling was met with critical acclaim, with many reviewers calling it the band’s greatest achievement, solidifying the band as a major presence in progressive rock. 2016 The Tea Club supported HAKEN in September on part of their “Affinity” Tour of the USA. The Tea Club also announced the upcoming release of the Grappling Graphic Novel, a 6-issue comic book series that elaborates on the stories told in the lyrics of their Grappling album. Written by Patrick McGowan with artwork by Dan McGowan and Kendra DeSimone, the first issue will be available October 10th, 2016 In December the band has embarked on a support tour of Thank You Scientist.